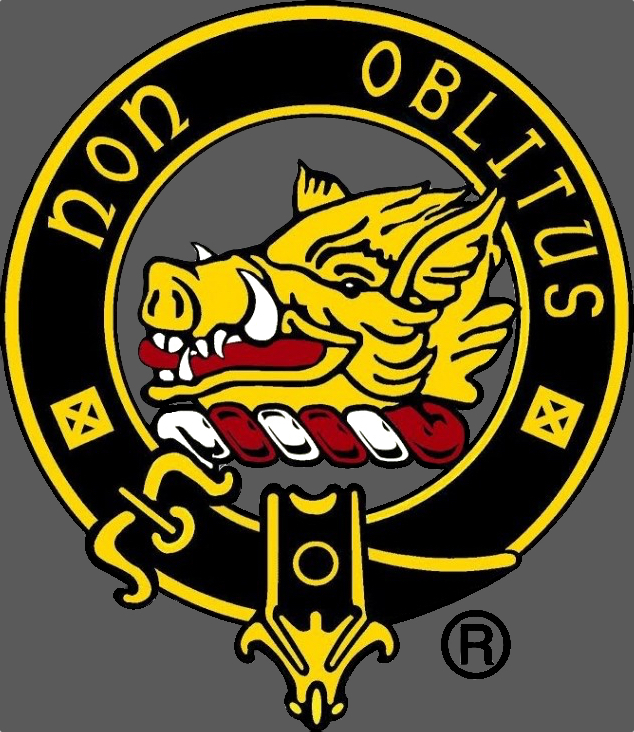 A Bylaw to enact a new bylaw related generally to the conduct of the affairs of Clan MacTavish USA, Inc. As adopted by the Board of Directors of Clan MacTavish USA, Inc. at its meeting of September 28, 2016.
a) “CM” means Clan MacTavish USA, Inc.
2) CM is incorporated pursuant to Sections 10-3A-1, et seq., Code of Alabama (1975) as amended (the “Alabama Nonprofit Corporation Act”) place of registration with the Judge of Probate Montgomery County, Alabama. 3) Meetings of CM will be governed by Robert’s Rules of Order. 4) In the event that the provisions of this bylaw conflict with the provisions in the Alabama Nonprofit Corporation Act, the provisions in the Alabama Nonprofit Corporation Act will apply. 5) In the event of the provisions of this bylaw conflict with Robert’s Rules of Order, the provisions of this bylaw shall apply. 6) For the purpose of this bylaw, any document shall be deemed to be received seven (7) business days after the date that it was mailed. 7) The Head Office of CM shall be the City of Oakville, in the Province of Ontario, Canada and at such place therein as the Board of CM may determine from time to time. The principal office in the United States shall be in the city of Waynesburg, Pennsylvania and at such place therein as the Board of CM may determine from time to time. Class III: Voting Member, which person is not a descendant or related by marriage to Clan MacTavish family, septs or associated names. The voting rights of the classes of membership shall be as set forth in Article Two hereof. 9) Class II or III membership may be denied or rescinded by the Board of Directors at any time, upon reasonable grounds, which may include, but shall not be limited to, misrepresentation, misallocation of funds or evidence of conduct unbecoming a Member of CM. 10) A person who is denied Class II or III membership by the Board of Directors shall be advised of the decision in writing and of his right to request a hearing within seven (7) days of receipt of the decision. 11) A person who requests a hearing pursuant to Section 10, shall be granted a hearing before the Board, and the Board shall consider the application and shall hear submission made by, or on the behalf of, both parties and shall make a decision. 12) A decision by the Board is final. 13) Any member may withdraw his membership by giving written notice to the attention of CM and delivering the notice to the head office. 14) Each Class II or III membership shall be for a twelve-month term unless classed as a Lifetime or Honorary member. 15) Additional classes of membership may be established by bylaw amendment and fees shall be established by the Board from time to time, as it deems fit. 16) The affairs of CM shall be managed by a Board of eleven (11) Directors comprised of Honorary President Chief of Clan MacTavish (non-voting), President, Vice President, Secretary, Treasurer, Membership Secretary, National Commissioner, two (2) Chief’s Representatives and two (2) Directors-At- Large. a) To provide educational, charitable, cultural, recreational and social benefits to the general public in the area of Scottish culture. b) To promote, perpetuate and encourage Scottish Traditions and Heritage throughout the North America. To that end CM shall endeavour to educate, acquaint and disseminate information to the general public and to MacTavish descendants and the septs and associated family names of Clan MacTavish by all available means, of the important contributions of MacTavish and MacTavish descendants, septs and associated names to the economic, scientific, cultural, military and public life of the United States and Canada. c) To further promote, perpetuate and encourage Scottish Traditions and Heritage by serving as Clan Sponsor at various Scottish Highland Games and Gatherings. d) CM is a representative of the Clan MacTavish, its septs and associated family names, not the Clan itself. As such, in addition to the objects and purposes listed above, it maintains and promotes a transparent, democratic, fiscally responsible organization and fosters open, ongoing, constructive communication with the Chief of Clan MacTavish. Individuals may become Annual Members by proper application and a non-refundable contribution of US $30 annually to CM. Each paid annual membership for those who are descendants of or married to the MacTavish family or its septs and associated family names, shall have one vote per paid membership application. Class II Members may nominate Directors for election, participate in committees and serve as Chair, hold office, serve on the Board of Directors or, if approved, be appointed to an Advisory Board of Directors. Each paid annual membership for those who are not descendants or are not married to the MacTavish family or its septs and associated names, shall have one vote per paid membership application. Class III members may not nominate Directors for election, hold office or serve on the Board of Directors. If approved, Class III Members may be appointed to an Advisory Board of Directors and participate as non- voting committee members but not serve as Chair. All annual Class II and Class III members must be current with their membership contributions in order to be eligible to vote. Annual members shall also have all other privileges, rights and benefits of CM. Individuals 65 years of age or older may become Annual Members at a non-refundable contribution of US $20 annually to CM. Otherwise, all other terms of membership are as per Section 18 above. The Class I Member and his heirs shall be Life Members without application or contribution. The Class I Member may nominate Directors for election, participate in committees and serve as Chair, hold office, and be appointed to an Advisory Board of Directors. The Class I Member’s heirs shall be deemed Class II Members and shall have all rights and privileges thereunder until such time as an heir succeeds to become Chief, in which case such heir will become the Class I Member. Class II and III: Individuals may become a Life Member by proper application and a non-refundable contribution of US $300 to CM. Once accepted as a Life Member, no further annual fees are required. Each paid Life Membership, for those who are descendants of or married to the MacTavish family or its septs and associated family names, shall have one vote per paid membership application. Class II Members may nominate Directors for election, participate in committees and serve as Chair, hold office, serve on the Board of Directors or, if approved, be appointed to an Advisory Board of Directors. Each paid Life Membership, for those who are not descendants or are not married to the MacTavish family or its septs and associated names, shall have one vote per paid membership application. Class III Members may not nominate Directors for election, hold office or serve on the Board of Directors. If approved, Class III members may be appointed to an Advisory Board of Directors and participate as non- voting committee members but not serve as Chair. The Chief, President and the Board of Directors may reward individuals who are not members of the organization for their contributions to Scotland, Scottish Heritage, Scottish organizations or CM itself by making such non-members Honorary Members. Such persons shall be presented with appropriate evidence of such membership. Honorary Members are non-voting members and may not nominate Directors for election, hold office or serve on the Board of Directors. If approved, they may be appointed to an Advisory Board of Directors and participate as non-voting committee members but not serve as Chair. All Members of CM shall periodically receive the Clan Newsletter “NON OBLITUS”. They shall have access to all Clan MacTavish Family publications, fellowship where the Clan is represented at Scottish and Celtic Festivals and Games, Clan MacTavish Gatherings and are eligible for the privilege of becoming a Convener to represent the Clan at said Festivals and Games. This organization is a nonprofit corporation and is exempt from Federal Income Tax under section 501(c)(3) of the Internal Revenue Code, as granted by the Internal Revenue Service of the United States Government in June 1966. Its members, Directors and Officers shall never be personally liable for the organization’s debts or obligations. All business of CM shall be conducted strictly in accordance with its stated purpose as set forth in its Articles of Incorporation, within the laws of the State of Alabama, and as contained within the laws, rules, and regulations of the United States dealing with tax exempt private corporations, as all such exist now or shall exist in the future, to the end that its ruling be preserved. All corporate powers of CM shall be exercised by or under the authority of, and the business and affairs of CM shall be managed under the discretion of the Board of Directors. All of the powers and duties conferred or imposed upon a board of directors by the Alabama Nonprofit Corporation Act shall be exercised and performed by the Board. The Board may conduct administrative business, make policy, and do decision-making during the year through the use of e-mail, telephone, web-site forums, and other communicative tools as agreed upon by the Board. The verification and ratification of said business will occur at the next Board meeting. All business of CM requiring a decision by vote of the membership consisting of Class I, Class II, and Class III Members, shall be referred to the eligible voting membership for action. Each referral packet shall contain a description of the matter under question, a resume and/or background history of the matter under question, a ballot and instructions for completing and processing the ballot, including a “not later than” date when the completed ballot must have been received by the Election Committee. Twenty-five percent (25%) of the Class I, Class II and Class III members entitled to vote shall constitute a quorum of the membership. Once a quorum is met, a majority vote total of those ballots received shall establish the decision of the membership. In the event of a tie vote of the ballots received, the issue is automatically disapproved. In all cases, the scrutinizer’s records will show (1) the number of valid ballots received; (2) vote totals for and against the issue; and the final resulting action to the proposal, whether approved or disapproved. A copy of the ballots shall be retained and made available for inspection for a period of three (3) years from the date of the vote. In addition, the original documents will be submitted to Clan MacTavish, Inc. for permanent storage. The affairs of CM shall be managed by a Board of Directors of eleven (11) Directors, one (1) of whom is the Chief, two (2) appointed by the Chief and eight (8) of whom are elected. No Directors are to reside in the same household or residence nor can be related by marriage or bloodline or have any other direct family ties to any person currently serving on the Board or seeking election to the Board. For purposes hereof, “household” shall be defined as persons residing at the same address. Each Director, other than the Chief, shall be a Class II or Class III Member of at least twenty-one (21) years of age and shall not be an undischarged bankrupt, mentally incompetent person, or person convicted under Title 13 of the Code of Alabama, or similar federal laws or state laws in other jurisdictions, as amended or reenacted from time to time. A quorum shall consist of seven (7) Board members of which at least one (1) must always be a Chief’s Representative. If no quorum of directors exists because of vacancies on the Board, the remaining directors, of which at least one must always be a Chief’s representative, shall fill the vacancy by appointing a qualified Member by a majority vote of the remaining Board members of the Board. There shall always be two Chief’s representatives on the Board. The person elected by the majority of the remaining Directors shall hold office for the unexpired portion of the term related to such vacancy. Should the vacancy be the Treasurer office, a special election called for that purpose shall be held within 4 months of the vacancy to fill the position. Any vacancy in the Board occurring by reason of the resignation, removal, disqualification, incapacity, or death of a director shall be filled by a majority vote of the remaining members of the Board, of which at least one voting member must always be a Chief’s representative. There shall always be two Chief’s Representatives on the Board. The person elected to fill such vacancy shall hold office for the unexpired portion of the term related to such vacancy. Should the vacancy be the Treasurer office, a special election called for that purpose shall be held within 4 months of the vacancy to fill the position. The number of Directors may be changed by the Board only at the Annual Business Meeting of the Board and only by a unanimous vote. Such change will be effective for the next election of Directors. These Directors will be selected by the voting membership of CM and shall hold office until their successors are duly elected and qualified, unless sooner removed for cause by a vote of the remaining Directors. Additionally, the Class I member shall be considered a permanent member of the Board of Directors, without vote or election, and shall not be counted against the said number of Directors. There shall always be two Chief’s representatives on the Board. The Board, by a vote of two-thirds of all other Board members, or the majority vote of the voting Members, as outlined in Section 25 at a special vote called for that purpose, may remove from office a Director, Officer, or member of any committee, other than the Chief of Clan MacTavish and the Chief’s Representatives, who has not attended at least 3 consecutive board meetings without just cause or who has not performed his duties or who has acted in conduct unbecoming a director of CM. Any Director may resign at any time upon written notice to CM addressed to it at its principal office to the attention of its President or Secretary. Any resignation shall become effective at the time or upon the happening of the condition, if any, specified therein, or, if no such condition or time is specified, upon its receipt. Unless otherwise specified therein, the acceptance of such resignation shall not be necessary to make it effective. Except for the Class I member and his Representatives, the Directors are elected for a three-year term of office. Directors may be re-elected for a maximum of one additional three-year term. Upon completion of the second term or a total length of service of six (6) years, the Director shall vacate his position on the Board of Directors and will not be eligible for consideration for re-election until a minimum of three (3) years after leaving the Board of Directors. For the first election, three (3) members will be elected for three (3) years (the President, Treasurer and Secretary), three (3) Members will be elected for two (2) years (the Vice President, Membership Secretary and International Commissioner), and two (2) Members for one (1) year (the At-Large Directors). The Officers of the CM shall be the President, Vice President, Secretary and Treasurer. All Officers must be elected Directors of CM. The Chief of Clan MacTavish shall be Honorary President of the Board. The Board of Directors may provide for such other officers as it shall deem necessary, and the Board of Directors may provide for a non-voting Advisory Board of Directors, subject to the Chief’s prior written approval of the Advisory Board and each participant. All Board of Directors and Advisory Board of Directors must sign annual conflict of interest agreements, as set forth in Article Seven below. The Term of office for officers shall be coterminous with the officer’s Director term. The term of office for Directors begins on 1 January of the year following their election and ends on 31 December three years later or his/her earlier resignation, removal, disqualification, incapacity or death. The President, Vice President, Treasurer and Secretary will be elected by a majority vote of the voting membership for a term of three years; provided, however, for the purposes of the initial election, the officers will have the terms set forth in Article V. The incumbent President, Vice President, Treasurer and Secretary may be re-elected by the voting membership for a maximum of one additional three-year term for a total length of office of six (6) years. An outgoing Officer, who continues to serve on the Board of Directors, may not be considered for reelection in the same office until a minimum period of three (3) years has elapsed since vacating that office. A vacancy in any office because of death, resignation, removal, disqualification, or otherwise, may be filled from among the current Board by a vote of the majority of the Board that includes one (1) Chief’s Representative for the unexpired portion of the term related to the vacancy and provided two Chief’s Representatives remain on the Board. Should the vacancy be the Treasurer office, a special election called for that purpose shall be held within 4 months to fill the vacancy. It shall be the duty of the President to preside at all meetings of the Board of Directors, oversee general direction to the other officers of CM in carrying out the policy as established by the Board of Directors and Clan MacTavish USA, Inc.; and as the Executive Officer of CM, be responsible for the transaction of all business pertaining to the organization. The President shall ensure that all debts and liabilities of the organization are paid from the funds of the organization. The President may sign or countersign checks, drafts, or notes pertaining to and concerning the business of the organization. It shall be the duty of the Vice President to perform all the duties of the President in the absence or disability of the latter. This officer shall perform other such duties as may be assigned him by the President or the Board of Directors. The Vice President may sign or countersign checks, drafts or notes pertaining to the business of the organization. The Secretary shall keep all records of the corporation and the minutes of all meetings of the Board of Directors, shall sign and attest in conjunction with the President such instruments that require such signatures and corporate seal, and shall make such reports and perform such other duties as are incident to that office, or as properly required of him by the President or the Board of Directors. The Secretary is the keeper of the corporate seal while in office. The Secretary may sign or countersign checks, drafts or notes pertaining to and concerning the business of the organization. The Secretary is also responsible for submitting to the head office central archival database all documents of minutes, election results and other such information documenting the activities of CM. The Treasurer shall have custody of all monies and securities of the activities of the organization, keeping the same in such bank or banks or place of deposit as directed by the Board of Directors, and shall keep regular books of account and balance the same each month. He/she maintains all business records for the current year, files reports required by state and federal agencies, such reports to include all taxes and filings required by incorporation. He/she may sign or countersign instruments as require the signature of the Treasurer. The Treasurer shall reimburse the Secretary, Newsletter Manager, National Commissioner, Directors and Officers, Committee Chairpersons for reasonable, justified and validated monies spent in the conduct of business for the benefit of the membership. The Treasurer complies with and enforces the fiscal policy as stated therein and shall also perform duties incident to the office as are properly required by the President or the Board of Directors. The Treasurer must reside in the Untied States and may not perform any other role other than that of the Treasurer. The President, or his appointee, shall be a non-voting member of each committee. The Honorary President, or his representative, may, at the Honorary President’s sole discretion, participate as a non- voting member of any committee. Any committee of the Board may meet for the transaction of business, adjourn and otherwise regulate its meetings as it thinks fit, provided that a majority of them, exclusive of any non-voting member, shall constitute a quorum. The Chair of the committee shall only be eligible to vote to create a tie vote or to break a tie vote. (ix) Amend, alter, or repeal any action or resolution of the board unless by its terms such resolution provides that it may be amended, altered, or repealed by such committee. Social meetings of the Members of the organization at various times and locations throughout the year are highly encouraged. Through these meetings, the membership of the organization will become better acquainted and more firmly establish the bonds of fraternal friendship and respect. The Annual General Meeting of the Members shall be held at such place within North America on a rotational basis and at such date and time as the Board may determine, and in any event, once at least every calendar year and not later than fifteen (15) months after the last preceding Annual General Meeting. Written notice of the Annual General Meeting shall be given to the members not less than fourteen (14) days prior to the date of the meeting and shall include the date, time and place and general nature of the business to be transacted. The Business to be transacted at the Annual General Meeting shall include the reports and statements required under the Alabama Nonprofit Corporation Act or federal laws of the United States as such laws relate to 501(c)(3) corporations including consideration of the audited financial statements, the delivery of written reports from the Directors including the Treasurer’s Report, the appointment of the auditor for the upcoming year to audit the accounts of the organization and fixing or authorizing the Board to fix his remuneration, the appointment of an Internal Complaints Ombudsman, and the transaction of such business as may properly be brought before the meeting. The Board of Directors will meet annually for the purpose of reviewing financial information, evaluating annual performance and setting new goals, approving budgets, reviewing current legislation and implementing policies as needed, the verification and ratification of business conducted by the balloting of members as provided for under Article Four, Section 24, “General”. The Board of Directors shall also meet periodically throughout the year to receive submissions, interview qualified members and elect such positions as Newsletter Manager, Store Manager (if a store exists), Web Master, Project Specific Fund Raising Manager and other positions as the need arises. Special meetings of the Board of Directors may be called upon fourteen (14) days notice by the President, the Chief, or in writing by two-thirds of the Board of Directors upon fourteen (14) days notice, and at such reasonable time and place. At such special meetings, only such matters that are specifically mentioned in the notice for said meetings should be discussed or decided upon. At such meetings, a quorum shall be seven (7). The quorum must always include at least one (1) of the Chief’s Representatives. The only elections that require membership participation are those for electing members of the Board of Directors which consist of: President, Vice President, Secretary, Treasurer, International Commissioner, Membership Secretary and two (2) Directors-at-Large. The Membership Secretary will prepare and distribute the nomination forms to all eligible Class I and Class II, members. Once nomination forms are returned the secretary will send summary biographies of both the incumbent and potential directors along with ballots to all eligible Class I, Class II and Class III members. The election for the Board of Directors shall be conducted by a Committee of three (3) to five (5) Members not running in the current election and consist of up to two (2) Chief’s Representatives and one (1) Member of the general membership to act as the Election Committee Chairman. The Election Committee Chairperson shall be appointed by the President. The last two (2) members of the Election Committee shall be appointed by the Chairman of the Election Committee. Under scrutiny of the Chief’s Representative(s), the remaining members of the Election Committee will receive, open, count, record and return the ballots to the Secretary, who will hold them for three (3) years and thereafter, submit them to the centralized archival database where they will be held for an additional three (3) years. The election committee will certify the results of the balloting to the Chief, the President and the Secretary. The period for the nominations for the position(s) of members of the Board of Directors that will become vacant at the end of the current calendar year opens on 15 July and closing 31 July of each year. During this period, the Election Committee will receive written nominations of Class II Members for election to the Board of Directors by eligible Class I and II Member nominee sponsors. (xviii) Commit to signing the Director’s Code of Ethics. meet all obligations and responsibilities of the position to the best of his ability. Nominations are to be submitted to the Elections Committee Chairman with a copy sent to the Board. The Board shall review the nominations to ensure that the nominees meet the published qualifications for such offices. If a nominee does not meet the minimum published qualifications, the Board shall notify the Elections Committee Chairman, who shall notify the nominee. The nomination from each nominee and a brief (not to exceed one double-sided page) personal history containing the required information outlined above. (ii) A ballot form providing voting instructions. Each General Member shall receive the ballot package by 10 August. The ballot shall be clearly marked “Ballot”. The cut-off date for return of ballots is midnight of the 30th day after the ballot date. Any ballot received after that time will be held unopened and shall not be used in the tally of votes. Within seven (7) days after the cut-off date, the votes shall be tallied and the nominees who received the largest number of votes shall be declared as elected to the Board of Directors for the ensuing term. The Secretary shall notify all Director Nominees of the results. (iii) Clan MacTavish will permit electronic and/or paper ballots for all elections. Paper ballots will be provided at the request of any supporting member. All voting will be conducted in accordance with Roberts Rules of Order Newly Revised. When the composition of the new Board of Directors and slate of Officers is determined, the general membership will be advised within one week by a posting in the Members Only section of CM and Clan MacTavish, Inc. web-sites. The names of the elected Board Members and Officers shall also appear in the next newsletter. The President may establish an Advisory Board with the prior approval of the Chief. The President must also obtain the Chief’s approval for each Advisory Board member. The Advisory Board members will have no vote and will serve at the pleasure of the President. The President shall also appoint the Chairman of the Election Committee, Representatives to the Advisory Board of Clan MacTavish USA, Inc. and Board Members of the Audit Committee. The International Commissioner will appoint Regional Commissioners and approve all State Commissioners appointed by the Regional Commissioners. All Regional and State Commissioners must be members in good standing. made that would be inconsistent with CM’s status as a tax-exempt organization under the provisions of Section 501(c)(3) of the Internal Revenue code of 1986, as amended, or the corresponding provisions of any subsequent federal tax law, and its regulations as they now exist or as they may hereafter be amended. The source of income of the corporation will come from contributions made for membership, donations, endowments, and the sale of Clan MacTavish and Scottish genealogical materials. CM shall never issue certificates for shares of stock. annual funding. Every three (3) years, at the completion of a Treasurer’s term, the Board will review and evaluate the performance over the period and implement change where necessary. Within the terms of the rules and regulations of the Internal Revenue Service, and within the terms of the Alabama Nonprofit Corporation Act, the Board of Directors shall develop a policy for establishing trust and investment funds to ensure the funds of CM are preserved, invested such that the expenditures of CM are paid out of that income to the greatest extent possible, and have full accountability. Funds from the trust income are available for such matters as scholarships, printing of genealogical materials such as CM has made available for purchase, and improvement of historical sites and monuments and like expenditures. Expenditures from programs, trophies, games and gatherings, particularly where it may be likely that individual officials of CM could personally benefit more than CM itself, shall be minimized or eliminated if inconsistent with maintaining CM’s status as a 501(c)(3) entity under the Internal Revenue Code of 1986, as amended and regulations promulgated from time to time thereunder. At no time shall any member of CM hold corporation funds in any personal account. All funds shall remain in the ownership of CM. A full financial report shall be made to the Board and the full membership annually with a copy to Clan MacTavish USA, Inc. This report may be provided in the “NON OBLITUS” or posted on the CM website. The Treasurer has the authority to sign checks, drafts or notes as described in Article Five, SECTION 29 d. However, the President shall approve checks, drafts, and notes and expenditures exceeding US $500. Expenditures exceeding US $1,000 shall require approval by a majority of the Board of Directors, one of whom must be a Chief’s Representative, plus the signature of two (2) elected Officers. Annual audits/financial reviews may be conducted by CM internally by the Board, the Audit Committee, and/or externally by Clan MacTavish USA, Inc. and/or its representative auditor, especially upon changes in the office of Treasurer. To this end, proper formal audits and bonds may be required. Formal audits shall be conducted by a qualified, independent auditor whose function will be to review and audit the books. Upon completion, he will meet with the internal audit committee and the Board. The auditor is to identify areas that he sees as potential problems or opportunities for fraud or where real fraud is taking place. Any issues cited are to be rectified immediately and improvements documented. 33) Purpose. It is the policy of CM that all persons who exercise substantial influence over the affairs of CM should be free from the influence of conflicting interests when they act on behalf of CM, and that they should act solely in the best interests of CM, without regard to personal considerations. This Article Seven provides procedures to be observed when CM is contemplating entering into a transaction or arrangement that might benefit the private interest of a person who exercises substantial influence over the affairs of CM, to require the reporting of such private benefits, to address the making of compensation determinations and the receipt of gifts, and to require annual statements of compliance with this Article Seven. This Article Seven is intended to supplement but not replace any applicable state and federal laws governing conflicts of interest applicable to nonprofit and charitable corporations, including Section 4958 of the Internal Revenue Code of 1986, as amended, or the corresponding provisions of any subsequent federal tax law, and the regulations promulgated thereunder, as they now exist or may hereafter be promulgated or amended (collectively, the “Code”). A “Conflict of Interest” exists where CM has, or is contemplating entering into, a transaction or arrangement, including a Compensation Arrangement, with an Interested Person or a Related Person. “Compensation Arrangement” includes direct and indirect remuneration as well as gifts or favors that are not insubstantial. “Interested Person” includes the Officers and Directors of CM, any other person who, based on all facts and circumstances, is in a position to exercise substantial influence over the affairs of CM, and any person who has been in such a position within the last five (5) years. (d) “Related Person” means, with respect to an Interested Person: (i) his or her spouse, siblings, ancestors, descendants, and the spouses of descendants; and (ii) a corporation, partnership, trust, or estate in which the Interest Person or any person or persons described in (i), or both or all of them, own an investment or beneficial interest. 35) Disclosure of a Conflict Interest. An Interested Person shall disclose any Conflict of Interest of the Interested Person to the Board or a committee authorized by the Board to consider the proposed transaction or arrangement (either, the “Authorized Body”). Disclosure of the Conflict of Interest, including all material facts, shall be accompanied by written or oral notice delivered to the Authorized Body at a meeting of the Authorized Body. Thereafter, the Interested Person shall leave the meeting. If a more advantageous transaction or arrangement cannot be secured without creating a Conflict of Interest, the Authorized Body shall determine whether the transaction or arrangement creating the Conflict of Interest is fair and reasonable to CM, in its best interest, and for its own benefit. In conformity with the above determination, CM shall make its decision as to whether to enter into or continue the transaction or arrangement. All decisions of the Authorized Body shall be taken by a majority vote of the disinterested members of the Authorized Body. No transaction or arrangement between CM and an Interested Person or a Related Person shall be either void or voidable solely because of a Conflict of Interest, if the Conflict of Interest is disclosed to the Authorized Body, and the underlying transaction or arrangement is found to be fair and reasonable to CM and in the best interest of CM, in accordance with this Article Seven. (e) The names of the persons who were present for discussions and votes relating to the underlying transaction or arrangement, the content of the discussion, including any alternatives to the proposed transaction or arrangement, and a record of any votes taken in connection with the proceedings. 38) Compensation. A director who receives compensation, directly or indirectly, from CM is precluded from voting on matters pertaining to that person’s compensation. 39) Annual Statements. Interested Persons shall be identified by the Board each year at the annual meeting of the Board. Thereafter, each Interested Person and each Director on an annual basis shall complete and affirm a statement, in the form of Exhibit A attached hereto, that such person: (a) has received a copy of this Article Seven; (b) has read and understands this Article Seven; (c) has agreed to comply with this Article Seven; and (d) understands CM is a charitable organization and that, in order to maintain its tax-exempt status, CM must engage primarily in activities which accomplish one or more of its charitable purposes. Originals will be held by the Secretary for a minimum of three (3) years. Copies will also be filed with Clan MacTavish, Inc. for permanent storage. (b) whether partnerships, joint ventures, and arrangements with management organizations in which CM participates, conform to CM’s written policies, are properly recorded, reflect reasonable investments or payments for goods and services, further charitable purposes, and do not result in any inurement, impermissible private benefit or in any excess benefit transaction. When conducting the periodic reviews provided for in this Section 40, CM may, but need not, use outside advisors. Use of outside experts shall not relieve the Board of its responsibility for ensuring periodic reviews are conducted. CM Whistleblower Protection practice and policy is to comply with the Public Company Accounting Reform and Investor Protection Act of 2002 (Sarbanes-Oxley). Any member who reports waste, fraud or abuse will not be retaliated against for making a report in accordance with the Internal Complaints Policy. The History of CM shall be preserved. CM administrative records relating to the Board of Directors election process shall be retained for three (3) years by the Secretary and be made available for access by the Board and membership. CM business, historical research, genealogical information, financial, policy, committee, and meeting records shall be assembled at the end of each calendar year for storage at Clan MacTavish USA, Inc.. The original, signed documents of these records shall be delivered to Clan MacTavish USA, Inc. for permanent storage and historical reference. 43) The corporate seal of CM shall consist of two concentric circles, between the edges of which shall be engraved the words: “Clan MacTavish USA, Inc.”, and across the center thereof the words: “Corporate Seal”. 44) The fiscal year of CM shall begin on January 1 and shall end on December 31, but may be changed by resolution of the Board. 45) CM shall have the right to retain all or any part of any securities or property acquired by it in any manner whatsoever and to invest and reinvest any funds held by it, according to the judgment of the Board without regard to restrictions which a Director is or may be permitted to impose on a class of investments; provided, however, that no action shall be taken by or on behalf of CM if such action is a prohibited transaction or would result in the denial or loss of status as a tax-exempt organization under the provisions of Section 501(c)(3) of the Internal Revenue code of 1986, as amended, or the corresponding provisions of any subsequent federal tax law, and its regulations as they now exist or as they may hereafter be amended. 46) Statutory Immunity for Officers. Pursuant to Section 10-11-1, et seq., Code of Alabama (1975), each non-compensated Officer and member of a governing body of CM shall be immune from suit and not subject to civil liability arising from the conduct of the affairs of CM except as follows: (a) his act or omission gives rise to a cause of action and amounts to willful or wanton misconduct or fraud, or gross negligence; (b) the civil action is brought by CM; (c) the cause of action relates to a personal injury to, or death of, another person or property damage arising from an accident inflicted by the Officer or Director acting within the line and scope of his or her duties; or (d) an action is brought by the Department of Examiners of Public Accounts. 47) Statutory Immunity for Volunteers. Pursuant to Section 6-5-336, Code of Alabama (1975), all volunteers shall be immune from civil liability on the basis of any act or omission of such volunteer resulting in damage or injury if both (a) the volunteer was acting in good faith and within the scope of such volunteer’s official functions and duties for CM, and (b) the damage or injury was not caused by willful or wanton misconduct by such volunteer. For purposes of this Section 47, the term “volunteer” shall include all persons performing services for CM without compensation (other than reimbursement for actual expenses incurred), and such term shall include any such person serving as a Director, Officer, trustee, or direct service volunteer. MacTavish USA, Inc., the Board of Directors shall, after paying or making provision for the payment of all of the liabilities of CM, dispose of all of the assets of CM exclusively for the purposes of Clan MacTavish USA, Inc. in such manner or to such organization or organizations organized and operated exclusively for charitable, educational, religious, literary, or scientific purposes as shall at the time qualify as such under Sections 501(c)(3) and 170(c)(2) of the Code, or the corresponding provision of any subsequent federal tax law, as the Board of Directors shall determine. Thenceforth, these Bylaws may be amended by a two-thirds majority of a quorum of seven (7) Board members, at least one of whom must be a Chief’s Representative, at a meeting duly convened after notice for such purpose. Voting shall be done in accordance with the voting procedures contained in Article Five, 27. All changes to these Bylaws both before they are changed and after, shall be provided to all members on the CM website, the next newsletter and summarized in the next Annual General Meeting. This paper makes the attempt to interpret and clarify the elected positions on the Board of Directors per the Bylaws of Clan MacTavish. This is directly relating to Article 5, Section 27, last paragraph, see below. When a member is appointed to fill a position, completing the term of office on the board of directors. The amount of time served as an appointment will NOT count against the years if elected to that position, per bylaws. Any member elected to a position on the board will serve a term of 3 years. The elected member may choose to run for a second term of 3 years. A total of 6 consecutive years is permitted per office, per bylaws. Any member that has served 2 terms, 6 consecutive years, must vacate the elected position. They are not permitted to run for that vacated position for 3 years, per bylaws. However, the removed elected member may continue to serve on the board by running for a different position. If elected to this different position, the same time frame is in effect as stated above under ELECTED. This rotation may continue however, it is the hope and attempt of the clan to always encourage new and other members, in good standing, to become involved with the workings on the board of directors. It is the intent of this interpretation to provide clarity when the number of willing members is not sufficient and/or able to participate at this level. This writing should establish a smooth transition with the willing members and board positions. If at any time a new member or member in good standing expresses an interest, then all attempts will be made to allow that member to get involved on the board. This text interprets and clarifies the term limits for elected positions on the Board of Directors per the Bylaws of Clan MacTavish. This is directly relating to Article 5, Section 27, last paragraph, see below. This amendment provides a procedure for keeping an elected member in a board position when they have completed their normal term limit of two consecutively elected 3-year terms and there are no volunteers to run for the office in question. Under such circumstances the following procedure may be invoked for a person currently elected and having served two, three-year terms to continue on in said position. This procedure can be used indefinitely. A majority of the members of the Board of Directors shall approve a motion to retain the person in the office in question for another 3-year term, or until such time as another qualified supporting member volunteers to serve in the position in question, whichever occurs first. The current Board member serving in this position must agree to voluntarily step down from his or her extended service when a qualified supporting member is appointed or elected to assume the duties of this position. As a qualified member volunteers to fill a position, the relieved member would only have to wait until the next election cycle to run again. This would be at the end of the calendar year. This procedure may be repeated as necessary to fill positions on the Board of Directors.